What if we are alone in the near Universe? 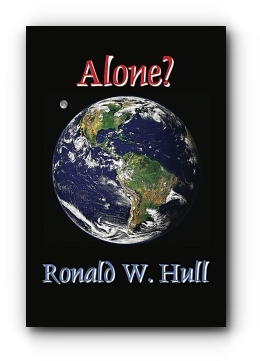 This is the question posed in Ronald W. Hull's historical novel, Alone? Dr. Hull's first novel, The Kaleidoscope Effect, described a realistic view of first contact with extraterrestrials. Hull believes that beings with the ability to cross the distance between stars would have an altruistic view of other, more primitive, life--including humans, similar to the way we view intelligent dolphins. But, if no extraterrestrials are here or are coming, what is human kind to do but become extraterrestrial? Alone? spans an epic 30,000 years, taking the reader from Neolithic man to a man capable of traveling at near the speed of light to other stars. Hull chose the Iceman found the Alps in the 1990s as a basis for his immortal space travelers from the Earth. He believes that from the time of domestication of animals and crops in the Bronze Age, natural selection, which honed the Cro-Magnon man to the peak of intelligence and physical ability, has been compromised by these very accomplishments, leaving modern man much less intelligent and adaptable. Therefore, the family’s DNA chosen as the vehicle for this epic journey comes from that very Iceman, as his clone. Dr. Hull does not engage in fantasy or human drama, but rather attempts to predict a rational approach and the type of technology that will free humans from the Earth and enable them to travel beyond the solar system to the stars. The 21st century poses many obstacles to this journey, largely because of human overpopulation and overuse of the Earth's resources. Natural disasters on a scale unheard of in man's short written history propel him to find safe havens for the surviving human population. If you like hard scientific science fiction like that of Michael Crichton and Arthur C. Clarke, you will like the future by Ronald W. Hull. Dr. Hull has worked in higher education 38 years. 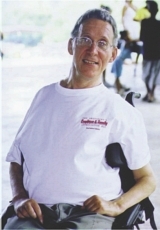 He is author of TSU's award winning energy plan and four science fiction and historical novels, available in paperback in bookstores and on the Internet. Ron resides in Houston, Texas.